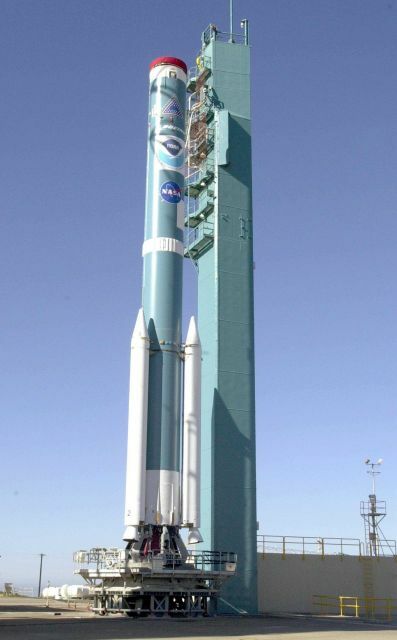 The first stage of a Boeing Delta II rocket rests on the launching pad. It will be mated with the second stage and launch the NOAA-N polar-orbiting satellite. Upon achieving orbit, the satellite will be renamed NOAA-18.